Welcome to the My Favorite Things June Release Countdown Day 2. Today I want to show you my card with awesome Laina’s designs. Star background, bold script fonts, stylish star shapes… card with stars is a particular favourite of mine!! 1)For my star background, I stamped Tiny Stars Background on the watercolour panel with embossing ink, white heat embossed. I then blended on the stamped panel with Blueberry, After Midnight dye inks using blending tool, added some water droplets. I trimmed it with Zig Zag Stitched Square STAX Die-namics. 2)I die cut ‘Stars’ word from the white cardstock using Stars & Wishes Die-namics, gold heat embossed. I then die cut stars from the white cardstock using Lucky Stars Die-namics. 3)To finish it off, I mounted all elements as shown to the deep blue star background using dimensional foam tape. 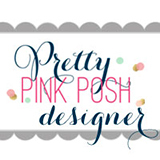 This entry was posted in My Favorite Things and tagged MFT, Pretty Pink Posh. Bookmark the permalink. Beautiful as ever! Thank you for sharing. A beautiful card Yoonsun. I love how your background looks as well! Great job! Love the tiny stars background! The card is totally awesome! Your background is amazing and so beautiful!!! You can nevr have too many stars in a beautiful night time sky!